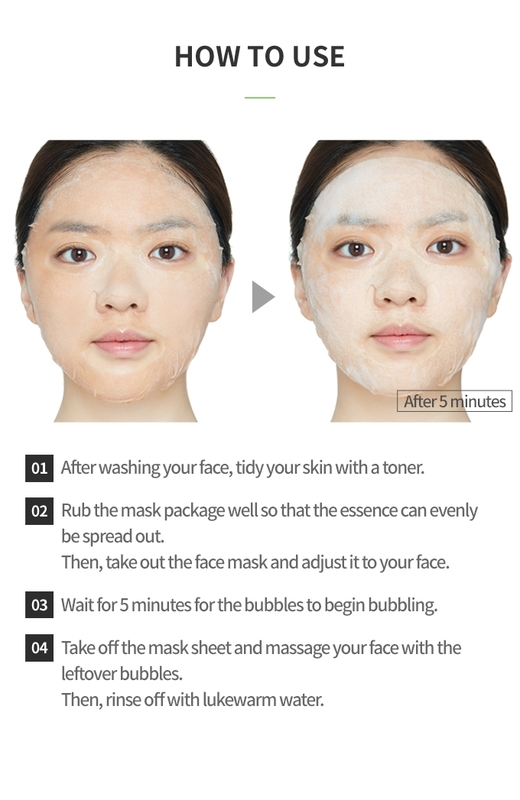 This foaming mask infused with bubbles effectively removes dirt, excess oil, and build-up makeup to create a glowing skin in just 5 minutes. 1) After cleansing the face, tidy up the skin texture with toner. 2) Unfold mask and place onto the entire face and align with it to your eye and mouth area. 3) Leave on it for approximately 5 minutes. 4) Gently massage face with remaining cleansing bubbles and rinse with warm water. 3) Do not useit on damaged skin and avoid using on open scars.